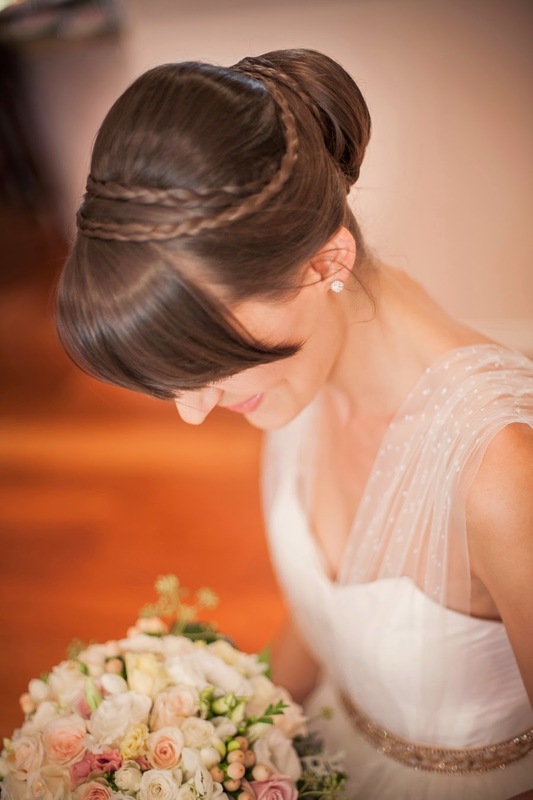 This real bride post is dedicated to our very special April bride, Ashely. 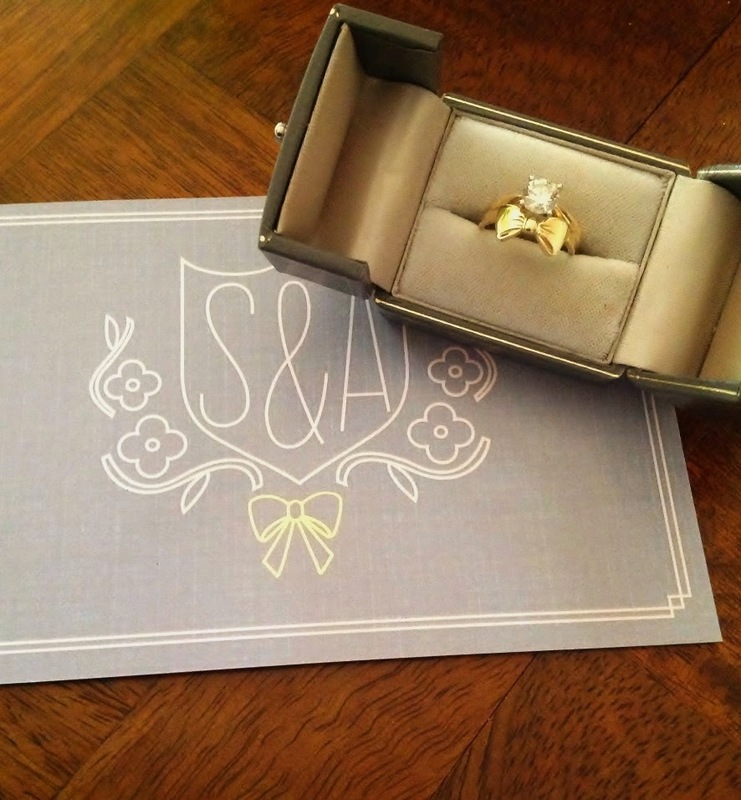 We have known Ashley for a very long time and we were so excited when we heard she was engaged. 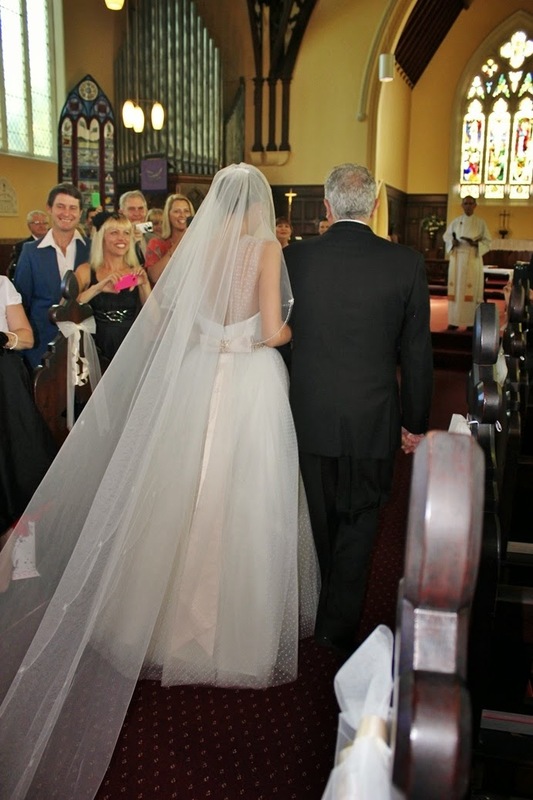 It was an absolute honour assisting Ashley in her bridal process and her mother Judy with her MOB outfit. Ashley came in store already knowing exactly what she was after, so it didn't take long to put all her beautiful fabrics together. She wanted a minute hail-spot tulle to be the feature of the dress, so when she saw our hail-spot tulle she instantly fell in love. 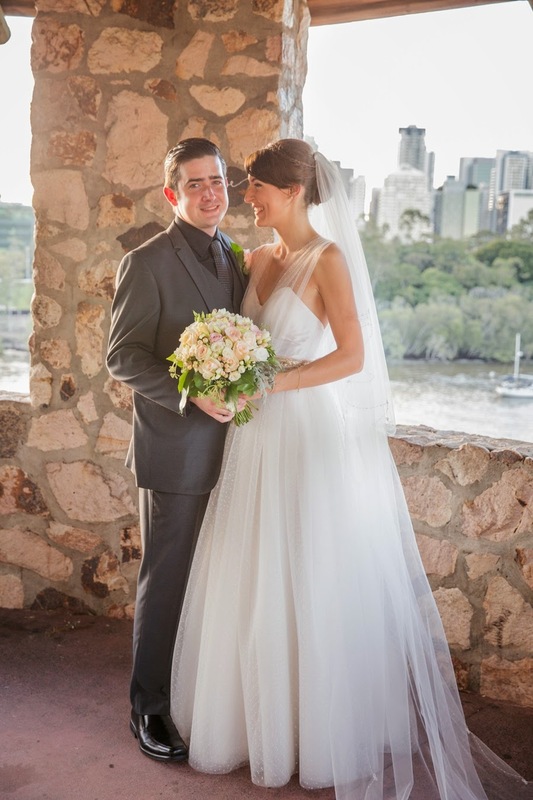 Ashley loved her fabrics so much that she purchased them 14 months in advance! 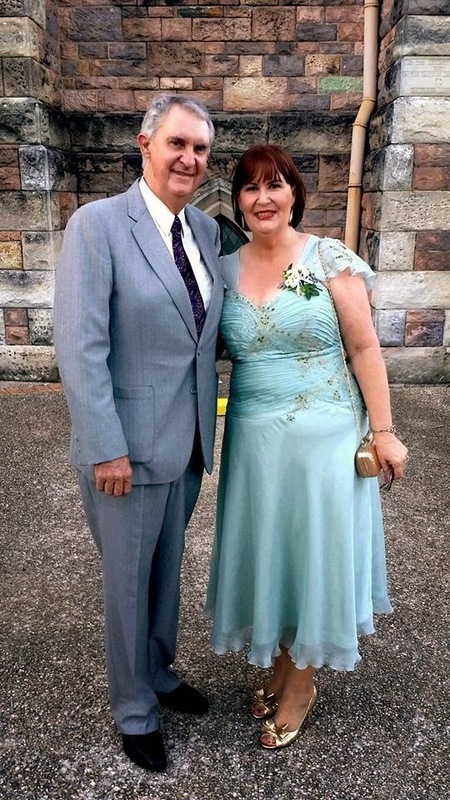 Ashley's mother Judy has been a loyal customer of ours for the passed 15 years, so when it came to her MOB outfit, she wanted something very different to all the ball gown styles she had previously worn. 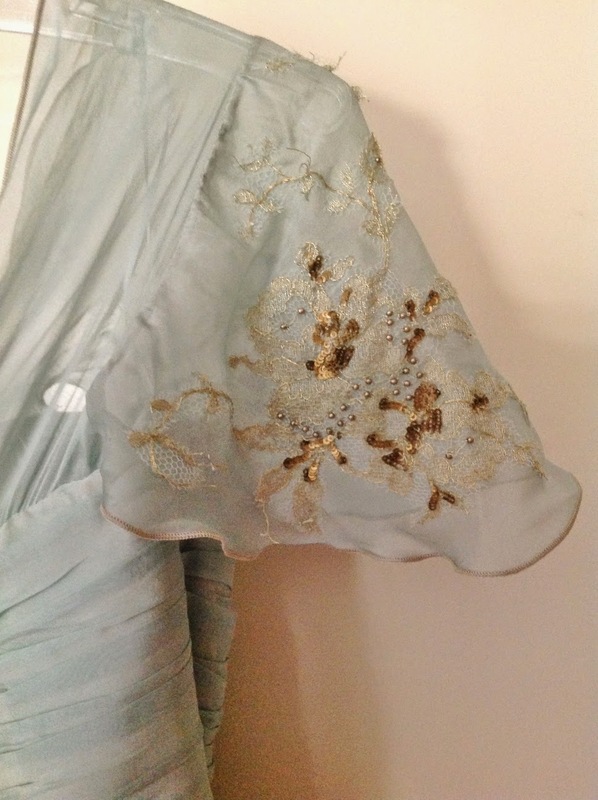 Judy opted for a beautiful beaded French Chantilly lace with gold metallic threading, which was complimented by our 'Sea Foam' silk satin and chiffon. Thank you for letting us be a part of your wedding Ashley! It is was a real honor and you made an absolutely stunning bride. 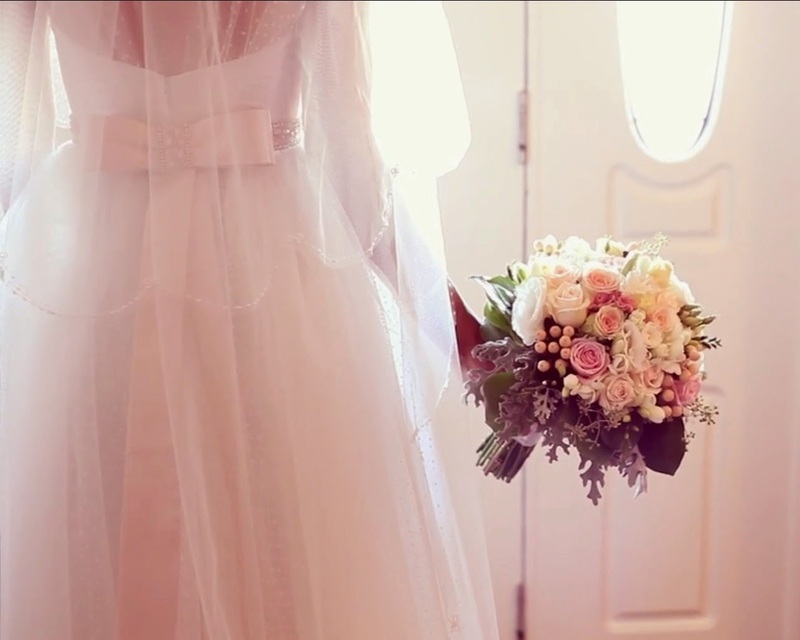 Here is a small interview we had with Ashley and some images she shared with us of her big day. Ashely and Judy's beautiful silk dresses was made by the talented Svetlana from Svetlana's Dressmaking. 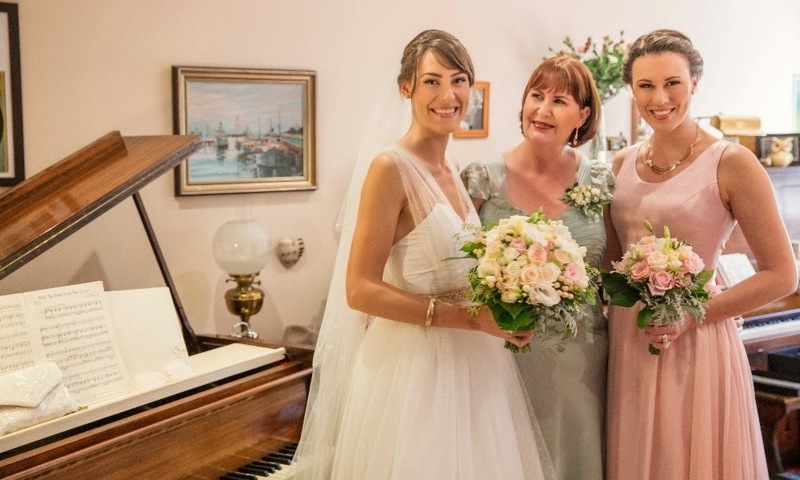 My Mum has been sourcing fabric from Selective Fine Fabrics for special occasion outfits for about 15 years, so when it came to choosing fabric for my bridal gown it was a no brainer- We know that if we want something special, we must visit Anna! We get the best service and advice, not to mention the most special selection of the most beautiful prints and embellished fabrics from SFF! We also got the most beautiful fabric for Mum’s dress there as well, and were able to use the same very talented dressmaker- Svetlana Martynova! If you know exactly what you want- then yes, definitely! I designed my wedding gown myself and hadn’t seen anything like it in the shops so I knew that I’d be getting it made. However, even if you’re not completely sure of what look you’re going for, if you compile images that you like then a talented dress maker would be able to splice together ideas you like whilst making a dress that fits you to perfection. Plus, my dress ended up being cheaper than most off the rack dresses, and it was custom made for me! 3. How would you describe your experience at SFF? Friendly, approachable, informative yet professional and efficient. 4. 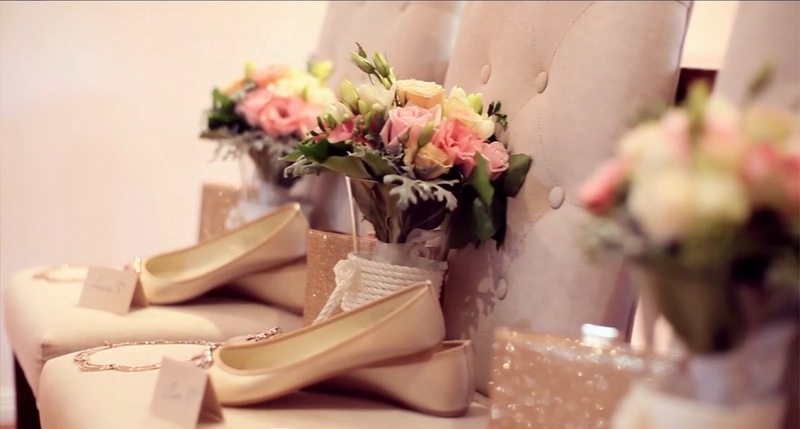 Did you have a wedding theme? 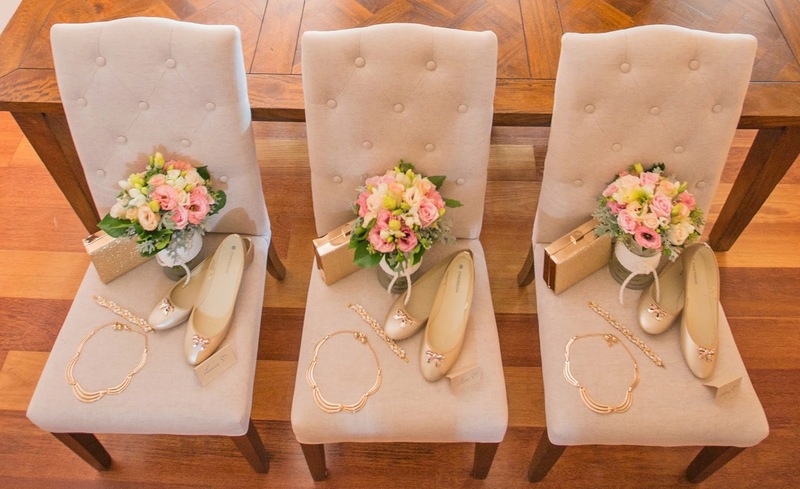 We had a traditional church wedding; I wanted soft pastels with the main colours being blush pink and gold tones. Do your research, know what you want and if you have your heart set on something don’t let anyone talk you out of it! There will be many expenses so if you’re trying to keep costs down, compromise on certain elements so that you can spend the maximum on the things that mean the most to you (for eg. If you’re in love with table centrepieces and not fussed on cake, then switch the 3 tier for the 2 tier cake and spend the difference on extra decorations)- let go of things that you have no control over, like the weather! wow....Great job dear.All dress looks fabulous . I really love all dress.Thank you so much for Sharing a wonderful post with us. Its really helpful to know bride dress. We have a great collection of African fabrics.Visit us hope you guys love them.